Following up on my previous open letter on auctions this is the second part of my open letter which is about proxies, caches and IP addresses. Let me firstly relate some of my experiences. Back in 2009, after I was awarded my Doctorate in Economics even though I am a Computer Engineer, I rented out an office space and published my book on "Market Theories & Predicting the Stock Market by Visual Inspection" ISBN 978-983-44525-4-4 which was based upon my Ph.D. thesis plus additional works. After many revisions and sample prints I decided on a final version. I printed out a batch of the updated version of books to be sold and you can view the video on the link given above. Would everyone want to learn how to predict the markets? I thought everyone would want a copy of the book and learn how to predict the stock and commodity markets as I was selling the softcover book very cheaply - RM500 (US$125) training course prices. Unfortunately that was not the case. Many people who had never bought the book talked about how my theories did not work. This is a common Chinese tactic to destroy good works that are better than theirs. They do this so that their enemies will be destroyed and in an effort to survive their enemies are forced to bring the price down. Fortunately, I have experienced this before so I began to raise the price of my book. When I raised the price of my book all the bad talk stopped. Back then I did not know how to write in PHP nor did I have my own shopping cart. So I checked around and it looked like the Russian product, CS-Cart, was the best. It was expensive and a few years later I regretted using CS-Cart ecommerce shopping cart. Every time you had a problem and needed an answer their tech support would ask you to make payment in US$ before they would answer your question. There were other problems too. Today I have stripped it out and am developing my own code and have written my own shopping cart at my own e-commerce site because I needed certain features that were not available in existing shopping carts. After setting up my website in 2009, and publishing a few articles on CS-Cart I found that my webpages were the first on Google search results. Number 1 position, at the top of the Google search mountain. I was really glad about this as I had no experience on writing high ranking articles and no knowledge of SEO. I was just lucky. The luck did not last for long. Within a few weeks or a month the internet was flooded with articles that the stock market could not be predicted. I do not know where my webpage ranking dropped to as I could not find it on a Google search anymore. The first and second pages of Google SERP was flooded with articles that elaborated on the idea that the stock market was impossible to predict. All those horrid articles were published by American scientist. I could not believe that American scientist could not stand the fact that a non-American had developed a beautiful theory that mathematically explain inflation, hyperinflation, economic behavior such as advertising and promotions, stock and commodity movements and trends and had invented group probability theory and shown the relationship between wave theory and probability theory and explained about duality of nature. I did all this living in a Muslim country that refuses to provide research grants or scholarships or university places to local non-Muslims but were willing to fund the foreign Iranians. Once the Americans flooded the Google with fake news, even the adverts on AdWords failed to bring in buyers. After months of advertising on AdWords without any sales I gave up. If I remember correctly, sometimes I was spending as much as RM4,000/- (US$1,000) during some months and lesser during other months. I struggled for almost a year to sell my books but nothing worked as the damage was done by those American scientist. After that I closed my office and looked for other opportunities as a home based inventor and developer. Is virgin coconut oil really a poison? Did you know that American scientist are now claiming that virgin coconut oil is a poison? How shocking. The Indians and South East Asians have been using coconut oil for thousands of years. If coconut oil was a poison they would all be dead by now and just like the Americas before Columbus, India and South East Asian would be virgin territory ripe for exploration and mass migration from Europe. I have run many experiments with coconut oil. I even mixed with people who had severe cold and flu hoping to catch their infection during the H1N1 scare a few years ago. I never caught any cold because I was on coconut oil - a teaspoon every day or two. Even though I was a chain smoker back then I never caught a cold for more than 4 years until I stopped taking coconut oil. I think the American scientist are trying to create an influenza epidemic in USA but that is their problem. Virgin coconut oil is the best protection against influenza, bird flu and cold or flu virus. Don't believe what the Americans say as eventually they will lose their credibility. Are the Americans that hateful of non-American inventors? I found out that the American man on the street, doesn't know that the stock and commodity markets can be predicted. To date they still believe that such movements are unpredictable. Thank you America. After my Doctoral Thesis was published, in 2009, even software products like Metastock have changed their programs to allow users to try to predict trends a few months into the future. Before my work was recognised such programs did not have charts trends extrapolated into the future, only up to the current date. My work has spread around the world. Will America become the forgotten continent? I believe that the Lord God is moving America to the periphery as they have become too self-opinionated. HE is allowing other countries to rise and lead the world because of this American attitude. I have written about how people lie and cheat for their own glory which is the wrong thing to do in the Lord God' eyes. What was worse is that while the American scientist were flooding the internet with "stock market cannot be predicted" articles I, during 2009 to 2011, was guiding President Obama (ask him - don't rely on my word) and the American government & the Fed (ask them - don't rely on my word) with my theories, to prevent the collapse of the American economy during the Great Recession. How grateful these American scientist were. How can you prevent fake news from occurring in the future? I will thank you if you can prevent this from occurring in the future. I invented a new way of making bread some years ago and published it on my website so that home bakers can make delicious breads without any kneading. I called it the 'Batter and Dough Method'. This resulted in many visitors to my website who were very interested in the many bread experiments that I blogged about. My guess is that they learned a lot from my explanations. There are articles on making breads with baking soda to making bread that lasts 9 days at room temperature with yeast. I discovered that the "Batter and Dough Method" was less prone to fungal growth as not all the water mixed with the flour. In fact you could turn the bread upside down and waited a while you find that the bottom was more moist then the top. This meant that some of the water in the bread was free to flow down. You can view the video below. I have improved on this by allowing the batter to ferment for about 3 to 4 hours instead of 1 hour and this improves the flavor of the bread. Why did I get into bread making? Oh yes, just check out my website. It's gone. The staff at Reseller Panel, my hosting services provider have destroyed my site. I have been developing an anti-hacking software to protect WordPress websites as my sites have been hacked many times in 2011 to 2013 and are still under attacks. After that I learned PHP and developed my own hacking protection for WordPress websites. Ever since then no one has been able to hack my WordPress website. Even the Chinese military, hackers from Moldova, the Russians, the Germans, French, Turks, Canadians, Ukrainians, Americans and Muslim terrorist could not hack my site. In the end the only people who could destroy my site were the internal staff at Reseller Panel - an inside job. Why are people so hateful and jealous? Why don't they work hard themselves? I began to suspect that the staff at Reseller Panel were furious with me as they could not figure out how my program worked as it was encrypted. I had unencrypted versions of another product which I am now worried that the staff may be trying to pirate. They began to edit some of my files. Later they blocked me from view the IP addresses of my visitors. They told me that it was the industry standard not to know the IP address of my visitors. That was when I wrote the article on IP addresses on the use of IP names. I had complained to them that there is flaw in their servers as their site statistics shows twice as many visitors then actual. They denied everything and blamed me for it. This bug that doubled the number of reported visitors does not happen on other hosting company servers. At Reseller Panel, Hepsia control panel is provided free of charge. They charge for using cPanel. I have been giving feedback to Reseller Panel support staff from 2013 or earlier that there is something wrong with Hepsia control panel but either they are in denial or they are scared to tell their boss. 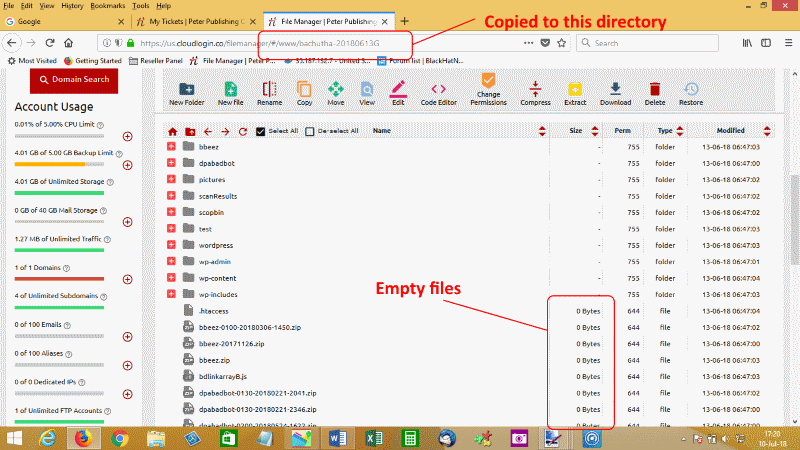 After I wrote that article on malicious hacker ip addresses, mentioned above, the staff at Reseller Panel corrupted Hepsia 3.0 so that it would delete files instead of copying them. They were migrating to Hepsia 4.0. Hepsia 4.0 had some problems and could not copy files and some times would not allow me to login. Typical of them, the staff denied there was anything wrong with Hepsia control panel so I went back to Hepsia 3.0. Unfortunately, Hepsia 3.0 deleted all my files instead of copying them to a new sub directory. See the pictures below. When I complained to them they denied that there was anything wrong with their software. Should I report them to the FBI? I have accumulated some evidence against them. I lost my whole web site and the Reseller Panel Support staff refused to restore it from backups. Is my site being reproduced elsewhere? My site visitor counts are very low. In fact numerous web crawlers visit my site daily. After I published the article on Finite Event Analysis many more Chinese web crawlers visited my site. How to I check if my website is being reproduced elsewhere like on a CDN that blocks visitor information to my site stats? 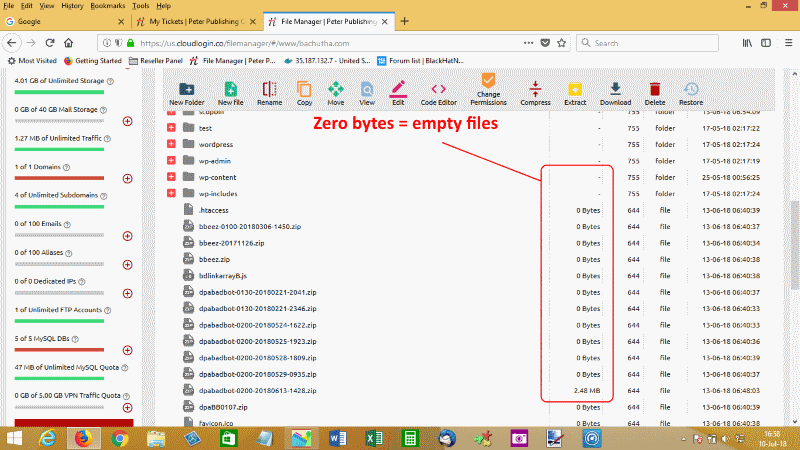 I wrote my own caching software and implemented it on my WordPress website back in 2014 when WordPress 3.9.1 was released. The performance as amazing. See the stats below. 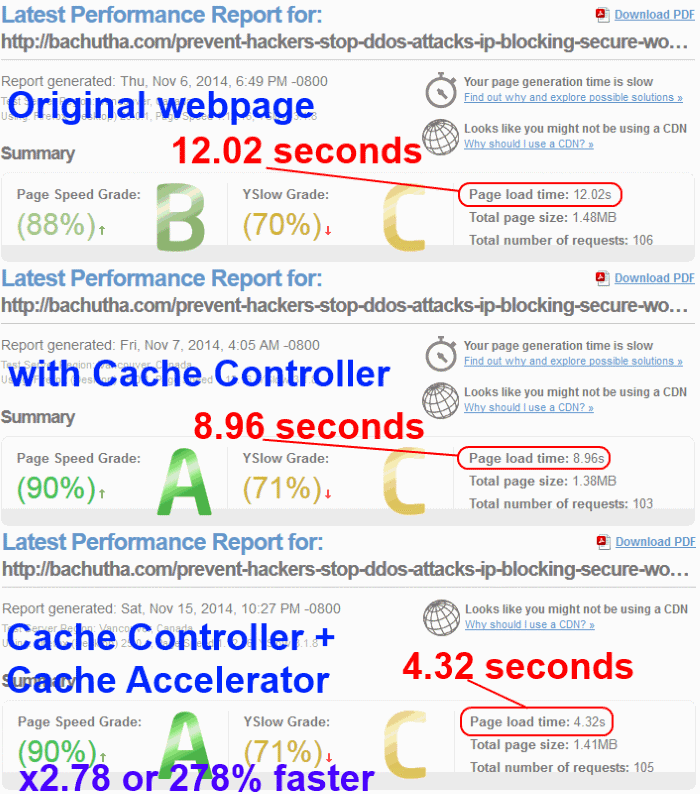 The performances shown when my site was hosted at Reseller Panel. I wonder if hosting providers are carrying out some kind of hanky-panky because I noticed that when you speed up your site to amazing speeds it will slow down later. This means that they have detected the speed up of your site on your shared hosting server and install more websites on that server which will slow down your site again. 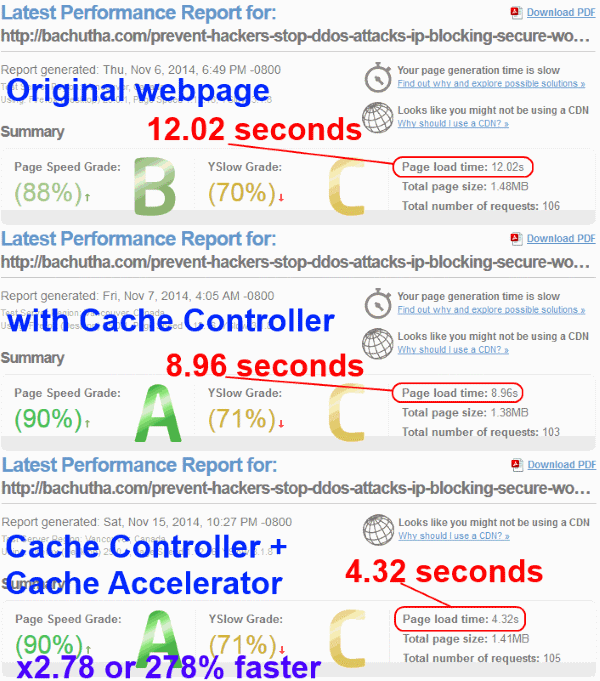 What, then, is the point of speeding up your website for Google? I had an important question. How do I know whether someone has copied my work on to his site or proxy there by making it look like almost no one is visiting my site. They would be stopping my customers from visiting my actual site and only allowing them to see what is displayed on their proxy, right? Once they do that they can change the contents of my site to make it look like they are the authors. They can replace my own or Google adverts with their own. I know this because I tested this out on my caching software. How rampant is internet piracy? I had spent a lot of time since 2013 tracking hackers and analyzing how they attacked websites. I began to look at how web crawlers behaved and what pages they were interested in. It was because of five and a half years of research, testing and analysis that I found some web crawlers claiming they were Google web crawlers. Then when I found google-proxy-64-233-173-156.google.com that had an IP address of 64.233.173.156 was from China, alarm bells went off. How could the Chinese be pretending that they are a Google bot? I asked around and no one knew. It was only when I posted this question at a Google forum that the whole issue of Google operating in China was exposed. . I am sorry that I started this issue. It was never my intention to create trouble for Google. I only wanted someone to confirm whether it was a Google bot or a fake Chinese bot pretending to be from Google. This was because the IP address is a Google IP address but the location was moved from the USA to China. Was it the Chinese pretending to be Google? Were they pirating the IP address too? It was just an innocent quest for the truth. I am beginning to suspect that someone in Google was so angry with me that Android Chrome was changed to only using the proxy to view any site by 2018 June 9th. By using the Google proxy you are not allowed to know the IP address of the visitor. They are mixing up two problems. Google has an internal problem with the issue of operating in China. That is their problem and it is not my problem and I really don't care what Google does or doesn't do in China. To the outsider they have been very honest and decent so far. Be careful of the Chinese as they will allow you to be directors of your own company today but when the company is successful they will want all non-Chinese directors to resign so that the company is totally controlled by the Chinese. It happened to me, which is why I know this. I did not know about Google operating in China as I live in far away Malaysia. Instead of tackling that problem, they have implemented a bad solution on their android phones with the Chrome browser blocking revealing of IP addresses of visitors. I did not discover about the China operation on my smartphone so the solution was ineffective and really really bad. Please do not mix the two problems - your internal problem and your bot performance. The fact that the Android Chrome were redirecting all visitors through a proxy is bad because we do not know where our visitors are from? Are they from Mexico or China or Malaysia or Greenland or India or Africa or Timbuktu? Do I show them winter Eskimo jackets for sale or tropical bikinis for sale? How does visitor tracking software like Awstats or Webalizer record where you are from. A lot of web statistics go haywire. Now everything is hidden. Even anti hacking WordPress plugins begin to fail when Google implemented the proxy to show your website on android phones. The worst part of this situation with the Google proxy is that it hides the IP addresses and therefore the identity of the hackers. This protects the identity of the hackers when they attack your websites. Not only that, when the anti-hacking firewall defense mechanism kicks in, the Google proxy transmits this to all Android Chrome users and most likely the whole world is blocked from viewing the site. This means that hackers will have a field day hacking many WordPress websites and blocking viewing of sites through Android Chrome within minutes. I have not tested this with non-Android phones but let's try a very simple DDoS attack which is easy to do on Android phones. I tried this and none of my friends could view my site. 1. Confirm that your smart phone Chrome uses a proxy to visit this web page by checking "Your REMOTE HOST is" displayed at the top of this page. 2. 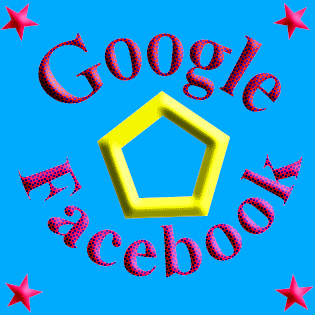 20 to 30 of you who are in Google, California, take out your Android smartphones and use Chrome to view any of my websites. 3. You can view my software products website. 4. Each of you view my site one or two seconds apart. 6. Now call a friend in New York or in England or Malaysia or Singapore or Australia or any other country and ask them to view my website with their android phone using Chrome web browser. They can't see my site. I am assuming that all your friend's smartphoes Chrome browser will be using the same proxy. 7. Now ask any of them to switch to Firefox browser and try to view my website again. 8. You can see my website with FireFox but not with Chrome. Once the hackers find out that it is that easy to block Chrome web browsers on Android phones they can, within minutes, block all the internet for Chrome users. A hacker does not need to run a marathon session of attacks over several days. With the latest version of Android Chrome 68.0.3440.91 on Android 7.1.1; CPH1801 Build/NMF26F, it becomes a few minutes of targeted attacks to do a worldwide block of all Chrome users from viewing a website. Now this is the question I ask you. Should I use AdWords to advertise my site on Google when it will be blocked by Chrome web browser? Every time Google AdWords brings me a visitor they will not see the webpage being advertised but an anti-hacking message or a blank page. Worst still I will not know where my visitor is from as all my visitor statistics will show just one visitor multiple times - the same visitor repeatedly visiting my site. What is the use of that? How do my cookies differentiate each visitor? Worst still AdWords advertisements provide no response, no clients for advertisers when there is fake news about the topic advertised. Please Sundar Pichai and Sergey Brin, please go back to the old Chrome otherwise I will be unable to advertise on Google's AdWords.